I love to wear black. When I don't wear black, I want to get credit, so naturally my next choice is to go for bright memorable colors. I tend to forget that neutrals and pastels can create classic looks (like good ol' black) that are fun, fresh and clean-looking for spring. Best of both worlds! The benefits of clean, classic looks are that they are smart, timeless, and always relevant regardless of the season. 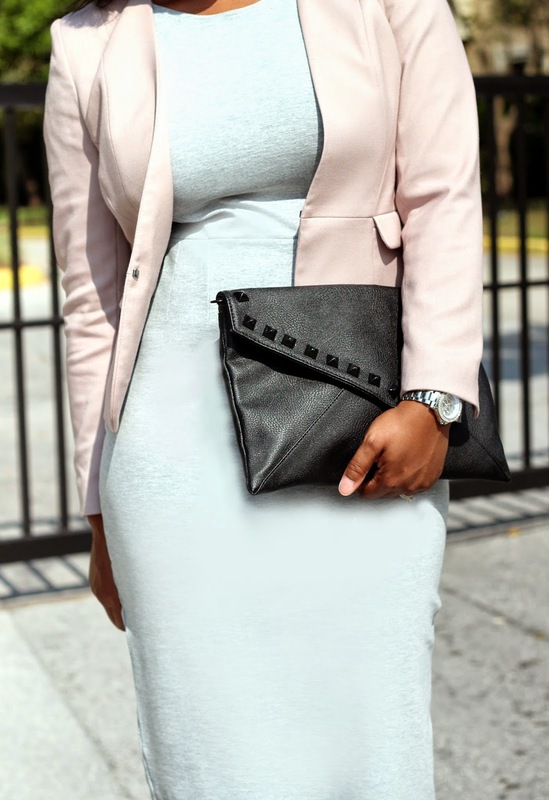 For someone interested in maximizing their wardrobe, investing in quality black and neutral items is a great place to start. Next, make things interesting by adding prints to your closet that are likely to be around for a while such as stripes and subtle patterns. Lastly, add a few pieces that are in your most flattering colors - and viola! - you're well-prepared to mix and match to create some head turning looks. ...and subsequent warm weather shopping. Shopping? I don't think you'll have to do too much convincing to persuade your wife to do that! P.S. Thanks for the scripture, it's fitting for a Monday and my focus this week! P.S. #2 Your commitment to consistent blogging and quality content is inspiring. Love this! its so Easy, Breezy!